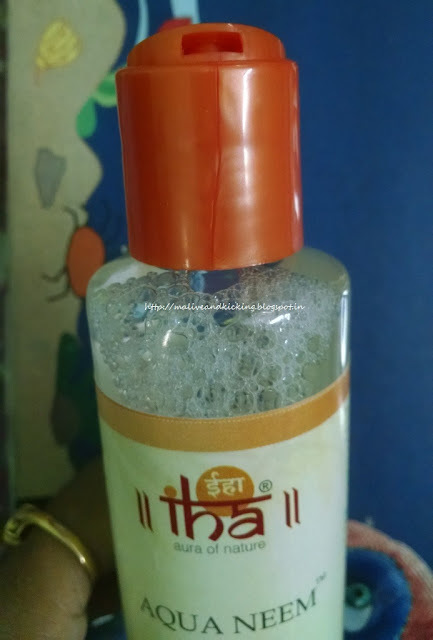 A toner is an ideal way to keep your skin problem free and freshen it up instantly. And when the humidity level reaches at its peak, you cannot skip clearing your dull looking skin using a toner that is all natural and pure. I have one such toner to recommend you today i.e. 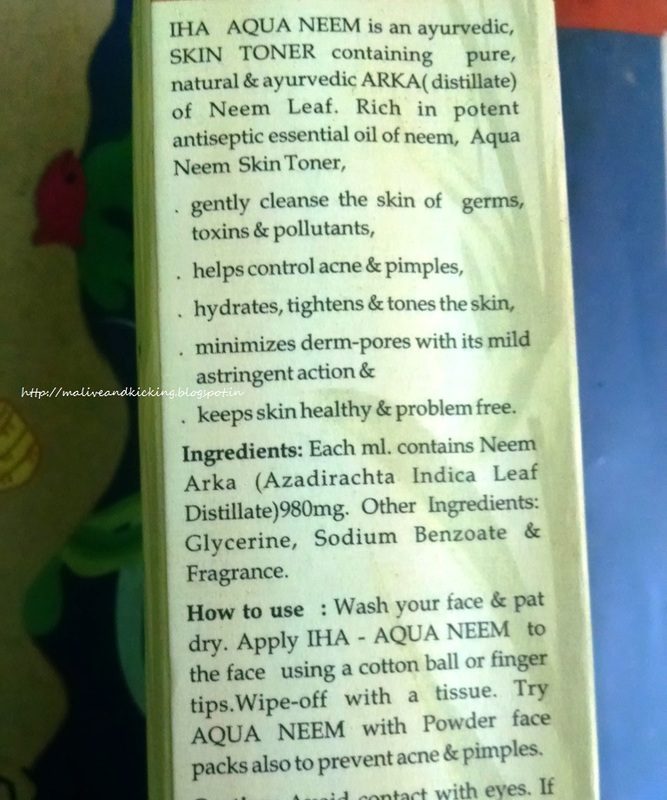 IHA Aqua Neem Ayurvedic Toner. IHA AQUA NEEM is an ayurvedic skin toner containing pure, natural & ayurvedic Arka (distillate) of Neem Leaf. 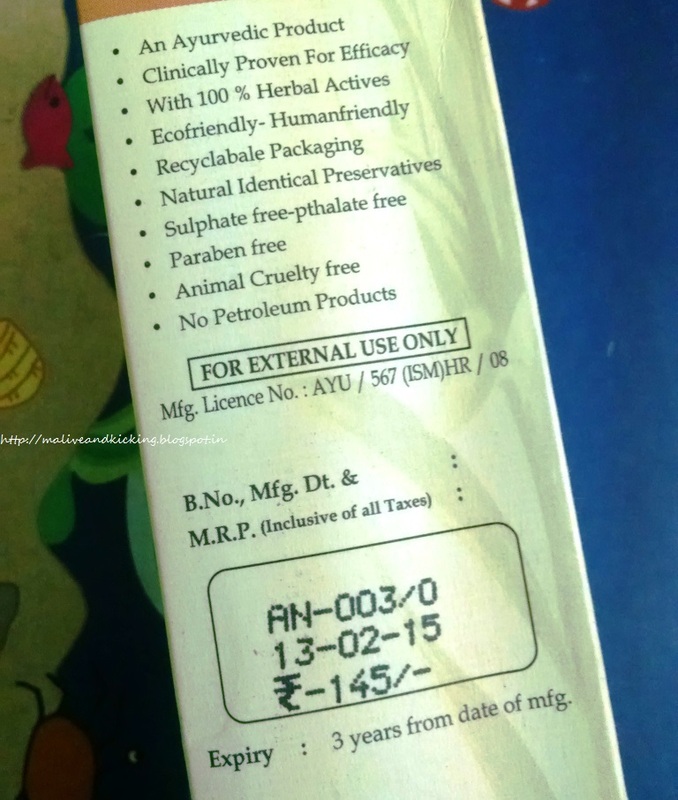 Rich in potent antiseptic essential oil of neem. Neem distillate, glycerine, sodium benzoate, fragrance. The product comes in a fine quality clear plastic bottle that makes it easy to see through the quantity left in the bottle. The saffron color screw cap is a 'press-to-open' kind of cap that is easy to use. 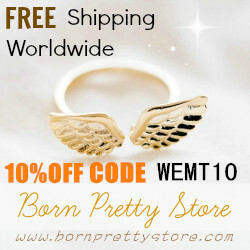 The packaging is recyclable and eco-friendly. 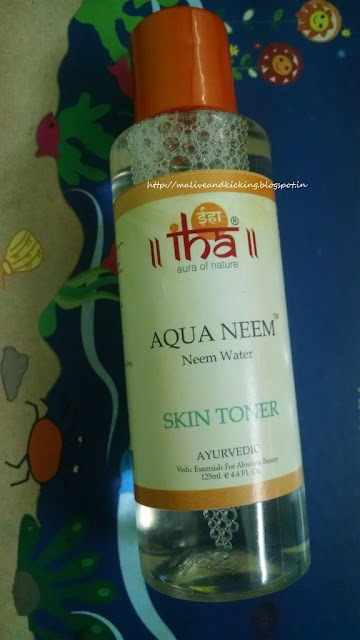 The IHA aqua neem toner is a clear liquid of watery consistency. After reading the active ingredient as Neem, I had expected it to smell weird or bitter, but exactly opposite to my expectation, it has really lovely fragrance like a wild flower that I am in love with. Since my skin type is dry, I find it crucial to pick a suitable toner that are too drying and may cause my skin to break out. Basically, I avoid using toners which are alcohol based and prefer water based toners. 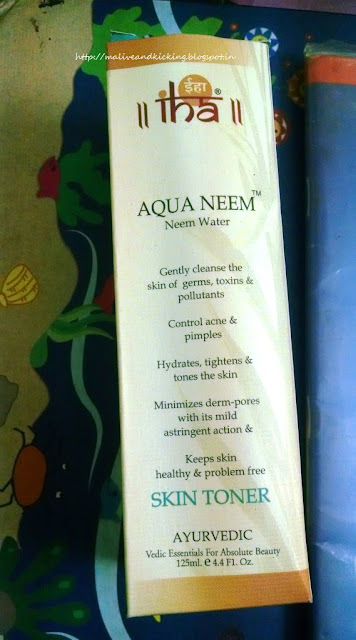 IHA Aqua Neem toner is toner that is gentle for skin. I use it after I reach home after work and also before hitting the bed. It has capability to remove all kinds of pollutants including dirt and tough oil that attracts more dust into skin. It doesn't dry out the skin like alcohol based toner and doesn't sting my eyes. The mild effect on the skin doesn't give any sensational feeling at all. Since it is enriched with neem extract, it will be liked more by beauties who are worried about acne n pimples. The brand recommends to use it in mixing powdered facepacks to minimize appearance of acne. The glycerine used it its formula helps to lock natural moisture of skin so that it does not look cracky. Keeps skin healthy & problem free. Easy to use, recyclable packaging. People looking for an affordable choice to tighten pores without drying out the skin can go for this product that lets you easily swipe away the dirt and extra oil from your skin. Great review. Even Ayur toner is also good. 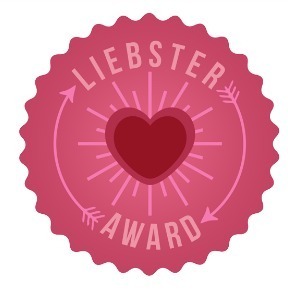 Need to use this once! I really need one for my pores. Is it suitable for combination skin too ? And what about availability ? Where can I buy it ? 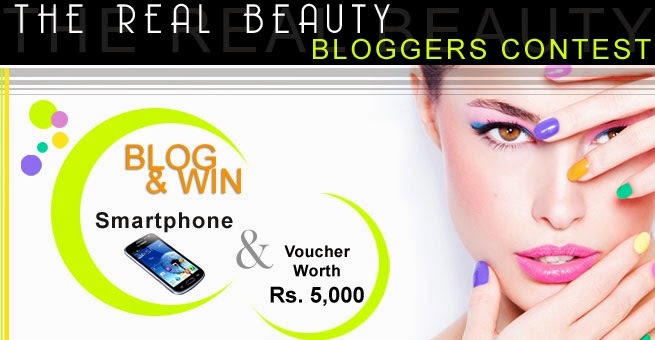 Jaya, I am quite hopeful that the mild formula this toner uses will suit combination skin too. 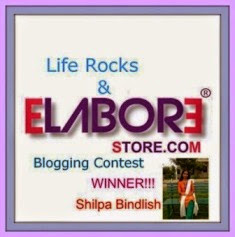 As far as availability is concerned, u may click on the link provided that connects the official website of the brand.